Home » Emotion » What Are Some Self-Esteem Activities? Do you ever feel like everyone seems to take advantage of you? They seem to ‘take’ but rarely ‘give’ back to you when you need help? It feels like a one way street! If you answered yes, then you need to build your self esteem up. You need some Self esteem activities. Self-esteem is about taking care of yourself. It’s about learning to trust yourself. Today, I’m going to write about three Self esteem activities. 1. Build your ability to say no. This builds a sense of self-esteem by being able to set a boundary for yourself and being able to take care of yourself. Doing what you really what to be doing will support your life because you are spending your time and energy doing what’s important to you, not what is important to other people. 2. Increase your ability to trust yourself. This is about going inside yourself and listening for your own answers. We need to set time aside and go inside our self and ask “What do I think about this?”. Then wait for an answer. Do this especially on the really important things in your life. You want to wait for an answer and then just stick with that answer until you get more information, or until you want to change it. Learn to trust your self and your answers. It is best to spend quiet time alone each day and listen for an answers. 3. Work on understanding and accepting your self. This means looking at and focusing on what you do like about yourself, not focusing on what you don’t like about yourself. Make a list and keep adding to your list more and more things that you like about yourself. You’ll start liking yourself more and accepting yourself more. 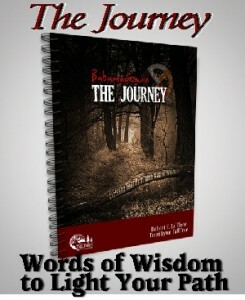 Lastly, another way to increase your self-esteem i s to read The Journey(Babamadizin) eBook. 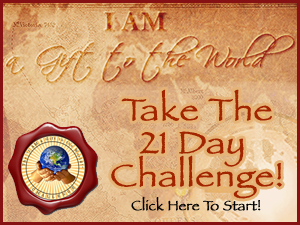 This fantastic program was created by my good friends, Robert and Terri TallTree. In this program you will be: Finding your place in this world, Identifying your purpose, Accessing your power, and Claiming your destiny based on Native American Wisdom. There are many activities that also help increase your self esteem. I highly recommend this ebook. I’ve gone through the processes in the book and enjoyed it immensely.